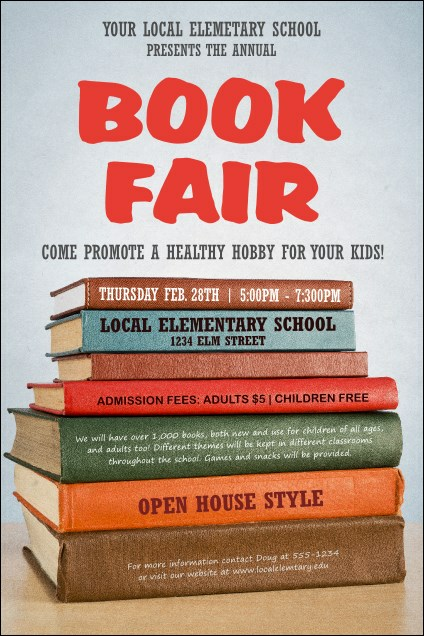 The Book Fair Poster is a fantastically fun choice for all of your publishing or education related functions! The template celebrates the imagination of writers and importance of everything from textbooks to grand works of fiction. It's an ideal size for posting around town, and has 15 lines for event details. Get the attention your event deserves with the right poster from TicketRiver.com.au!